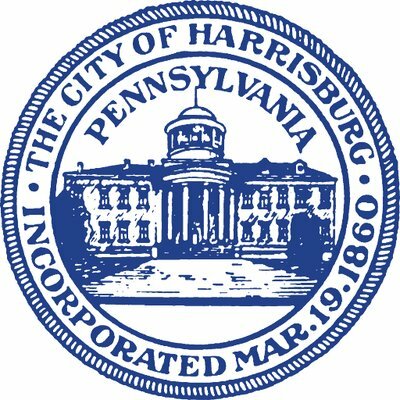 Dec. 5, 2018 HARRISBURG – Parking will be free in Harrisburg on Monday, Dec. 24 and Tuesday, Dec. 25, 2018, in Harrisburg, but will return to normal on Wednesday, Dec. 26. The U.S. Census Bureau is ramping up for the 2020 Census and is recruiting for temporary jobs available in and around Harrisburg, Pa. The Census Bureau is recruiting thousands of additional employees in and around Harrisburg, Pa. By visiting https://2020census.gov/jobs , applicants can apply for a range of positions, including recruiting assistants, office operations supervisors, clerks, and census field supervisors. The positions will be located in and around Harrisburg, Pa and have flexible work hours, including daytime, evenings and weekends. Harrisburg, PA – In celebration of the 28th Anniversary of the Americans with Disabilities Act (ADA), the Center for Independent Living of Central PA (CILCP), the City of Harrisburg Human Relations Commission and local marketing firm Suasion are hosting a community photo shoot at 10 a.m. Thursday, Aug. 9, 2018 at City Island, Harrisburg. The goal of the photo shoot is to capture photography of local, realistic people with diverse disabilities doing everyday activities for use on the social media accounts, websites and brochures created by the host organizations. The photo shoot was originally scheduled for July 26, the Anniversary of the ADA, but was postponed due to flooding on City Island. Photo shoot participants, which are comprised of local individuals with diverse disabilities, families, couples and singles, are encouraged to enjoy the various activities at City Island while having their photos captured by Suasion, who will create a stock image gallery to store the pictures for future use. The Center for Independent Living of Central PA (CILCP) is a consumer controlled, cross-disability organization dedicated to assisting people with disabilities to achieve and maintain independent lifestyles. The organization assists individuals with any type of disability in navigating through the maze of services and programs and connecting them with customized options that will enable them to reach their goals and aspirations as part of its Living Well With A Disability philosophy. To learn more about the CILCP, visit their website at www.cilcp.org. grassroots marketing and branding services to organizations driven by a social mission. Proudly celebrating its 10-year anniversary, Suasion effectively serves organizations in the health care, government, social and human services and disability markets using proven behavior and social change strategies that effectively influence audiences and shift perceptions. For more information, visit www.suasion.us. HARRISBURG, PA — The Harrisburg City Council will hold the second of three public meetings at 5:30 p.m. Wednesday, June 6, 2018 in the Drill Hall at the Harrisburg Armory, 1400 Calder St., Harrisburg. The meetings are designed to allow citizen input on the proposed sanitation ordinance. The ordinance concerns proposed fines for trash and recycling violations and proposed annual payments for trash service. The final meeting will be 5:30 p.m. Wednesday, June 13, 2018 at the Scottish Rite, 2701 N. 3rd St., Harrisburg. All Harrisburg city residents are welcome. For more information, contact Joyce M. Davis, Director of Communications, City of Harrisburg at [email protected], or call 717 255 3015. The City of Harrisburg, in partnership with Capital Area Transit, is conducting a study to improve bus stops along six important streets. The study is looking at bus stop locations, bus stop spacing, and bus stop features. Back in January, the first public meeting was held to gather your ideas on how to improve CAT’s bus stops. Now, we want to show you how those ideas have been incorporated into the study. Please join us at a public open house to review preliminary improvements to CAT’s bus stops and let us know what you think! HARRISBURG (May 24, 2018): The City of Harrisburg and Capital Region Water will be hold a Minority/Women/Disadvantaged Business Enterprise networking and certification event on June 1, 2018. This event, sponsored by the Keystone Contractors Association, will connect local construction companies through networking and increase opportunities for small, diverse businesses on upcoming construction projects. The City of Harrisburg will host a press conference with Mayor Eric Papenfuse to provide more details about the event at 1o a.m. Wednesday, May 30 in the atrium of the MLK Government Center, 10 N. Second St.
MBE/WBE/DBE certifying agencies, financial institutions, and bonding and insurance firms will also be on hand to help local businesses prepare for doing business with the City of Harrisburg and Capital Region Water. In 2016, Capital Region Water passed a MWDBE Plan requiring minimum participation levels for MWDBE on all construction projects that exceed the bidding threshold established for municipal authorities in Pennsylvania. More information about Capital Region Water’s Business Diversity Program and MWDBE Plan can be found online at capitalregionwater.com/businessdiversity. Hand-crafted works will be available for sale in sixteen different categories, including ceramics, digital, drawing, fiber (decorative and wearable), furniture, glass, jewelry, leather, metal, mixed media, painting, photography, printmaking, sculpture, and wood. It is parking permit renewal time. The fee for residents renewing their currently held permit is $25.00; new permit applications require a fee of $30.00. Residents who are age 65 or older, and are handicap are exempt from residential permit fees. Permits will be available for renewal by mail, starting March 1, 2018. NOTE: If the above documents have a current Harrisburg City address, nothing further is needed. If it does not have a Harrisburg City address, you must submit a copy of your lease or letter from state government or college personnel office on letterhead confirming your residency status along with a copy of your state employee/college identification card. NOTE: Please keep in mind you are entitled to ONE parking permit only. NOTE: If your current, eligible Harrisburg City address is not reflected on your driver’s license and/or vehicle registration, you may receive a temporary permit (expires 30 days from issue) with a copy of the above (driver’s license and vehicle registration) and lease/deed at no cost. After you have updated your driver’s license and vehicle registration through PENNDOT, you may apply for a permanent permit. Please note: your current permit expires March 31, 2018. Please do not display the new permit until April 1, 2018. Displaying an invalid or expired permit on or after April 2, 2018 may result in the issuance of a parking ticket pursuant to the provisions of the City Ordinance, 3-139, Residential Parking Permits. Please also understand that you will not be issued a permit if you have any OUTSTANDING PARKING TICKETS OR CITATIONS. Anyone who transfers a permit to another individual will be placed on the ineligible list for permits and may be subject to criminal prosecution. All applicants are encouraged to apply for parking permits by mail. You may also obtain a permit by coming to the Parking Enforcement Office starting on or after March 12, 2018 from 8:00AM to 3:45PM, Monday through Friday. The Parking Enforcement Office is located on the 2nd Floor of the McCormick Public Safety Building, at 123 Walnut Street. If you intend to come in person to renew your parking permit the Parking Enforcement Office recommends that you pay with a check or money order, made payable to the City Treasurer, which will be accepted at the Parking Enforcement office. Please be advised, if you intend to pay with cash, you will have to exit the Police Station, walk outside, and around to the City Government Center @ 10 N 2nd St, and into The City Treasurer’s office to make your payment. Then return back to the Parking Enforcement Office the same way to retrieve your new parking permit. All cash or transactions must be made through the City Treasurers Office after you apply for the residential permit at the Parking Enforcement office. Communities In Schools of Pennsylvania (CISPA), title sponsor Highmark Blue Shield, and valuable partners will kick-off the official launch of the Harrisburg Bike Share on Thursday, October 5th at 11 AM in Strawberry Square. One of the largest city bike shares in the state of Pennsylvania, next to Philadelphia and Pittsburgh, the Harrisburg Bike Share will directly benefit local youth. 93% of the revenue generated by the program will support services offered by CIPSA, the Commonwealth’s largest dropout prevention organization, serving nearly 50,000 students and their families. Following the press conference, invited guests will take part in the Harrisburg Bike Share ceremonial ribbon cutting and inaugural bike ride using Harrisburg Bike Share bicycles. The Inaugural riders will include Representative Patty Kim, Dauphin County District Attorney Ed Marsico, and other active members of our community. Press conference to launch Harrisburg Bike Share program. Ribbon cutting ceremony and inaugural bike ride to follow.